The Adult Comfort Chair is an exclusive designed created by INCA. 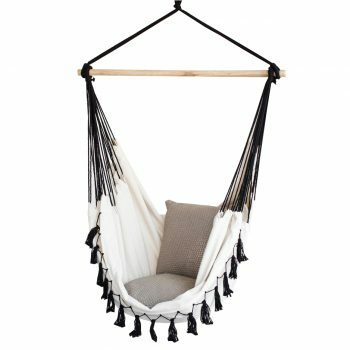 This hammock chair is perfect for lounging around in or just relaxing. 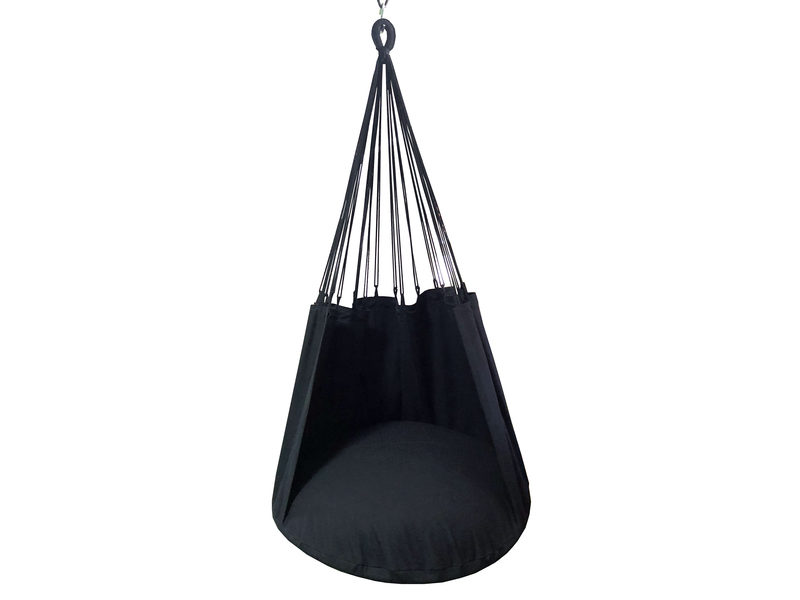 It comes with a padded cushion that provides added comfort and the fabric is made of 100% cotton. This can also be made in other fabrics like polyester and polypropylene. 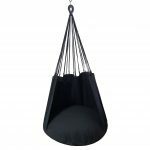 This chair can be easily hung from a one-point suspension. 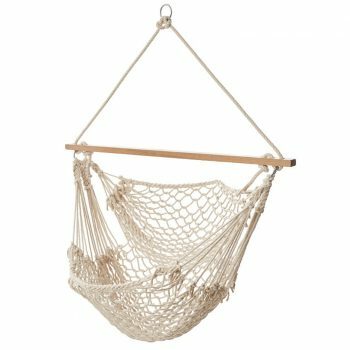 Also this hammock comes in a very compact packaging so that it can be easily carried around. 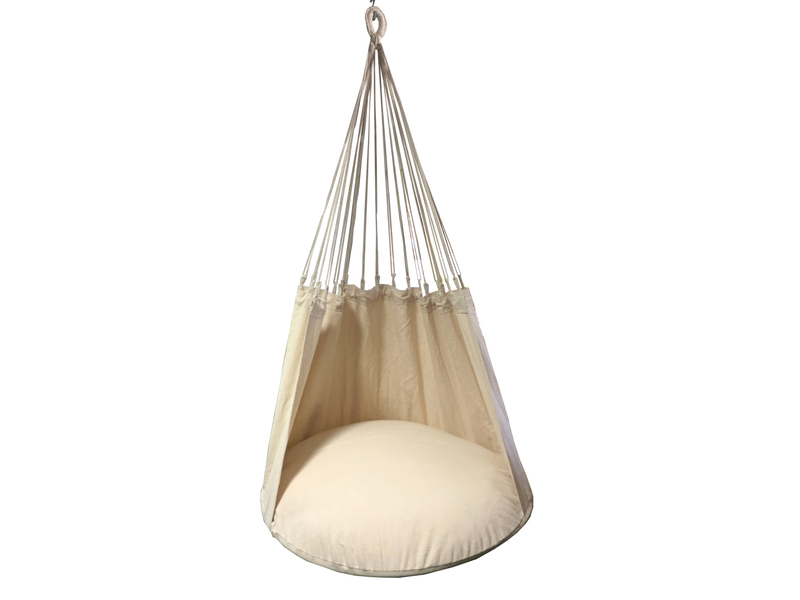 The comfort chair is one of a kind and this was designed by the hammock guru and our founder – Mr. Bhatt! It can be made in various colours. This solid natural off white colour chair is an elegant blissful retreat that matches any decor. The beautiful artisan-made macrame – crochet fringe makes this a conversation piece and can be used indoors and outdoors. 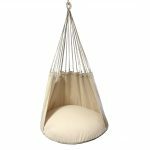 The elegant appearance and pure cotton construction will quickly make this your favourite seat, hand-crafted, tightly-woven, and purely luxurious. 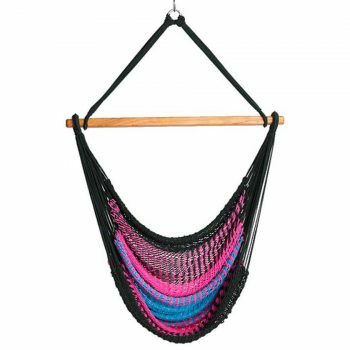 Made from 100% cotton hammock with macrame fringe.